RUSH: It seems like it was only yesterday that the Democrats in the House passed a resolution that was supposed to prove that they aren't anti-Semitic, right? So now we learn that none of the 2020 presidential candidates are gonna go to the AIPAC, the American Israel Political Action Committee meeting, convention, whatever. They are boycotting the Jewish political action committee! And Trump is out there saying, "See? I've been telling you, I've been telling you the Democrats are a bunch of anti-Semites.” And this new crop of 'em definitely are. It certainly appears to be that way. JOHNNY DONOVAN: And now, from sunny south Florida, it's Open Line Friday! RUSH: Me see if I can fix that switch. Greetings, and welcome back. Rush Limbaugh here. Line a you're next hundred eight two. Is that how it is when buttons don't work? 800-282-2882 is the number. Whatever you want to talk about, fine and dandy. It was. It was just like yesterday the Democrats passed this resolution that was supposed to prove they are not anti-Semitic. They wouldn't even call out Ilhan Omar. And AIPAC -- folks, the alliance between Jewish Democrats and the Democrat Party has been unbreakable. It has been as solid and as unbreakable as the alliance between the NAALCP and the Democrat Party. Now we have Move On and Code Pink and the rest of the George Soros crowd telling all these Democrats to avoid AIPAC, avoid anything to do with Jewish donors and contributors. This is much bigger than anybody is making this out to be. This is the severing, by all of the presidential candidates on the Democrat side, their ties to traditional Jewish allies in the Democrat Party. I mean, this is a huge thing. 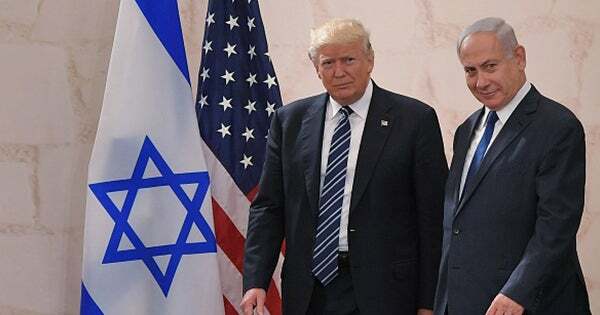 And the irony that just days after they went so, so far, they tried so hard to convince everybody that even though Ilhan Omar and Rashida Tlaib or whatever in their party, no, we're not anti-Semites, don't think that at all, we love Israel and we love the Jewish people. But then when it comes time to go to AIPAC, (raspberry) you, Israel, we don't want any part. And Trump comes out and compounds it by claiming the Golan Heights is now officially part of Israel, which just irritates people to no end. And we'll have more on this as the program unfolds. Also, I got an email, “Rush, are you gonna talk about Peggy Noonan's column today?” I hadn't planned on it. I've known Peggy for a long time. Peggy has never been a big fan. She's lived off being a Reagan speechwriter for a long, long – (interruption) Well, she hasn't been a big fan. I remember one time she said, “You're the guy with all the truck drivers in the audience, right?” That was in like 1900, and it went downhill from there. Anyway, I hadn't seen the column, so I went and looked at it as a subscriber to the Wall Street Journal. It's a business expense, you know, so I can afford it. 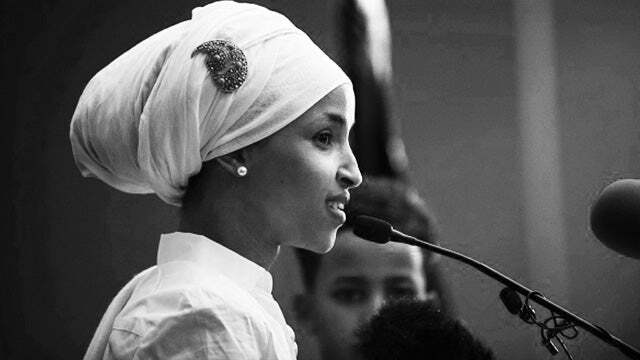 And her point today is that the crude politics of Alexandria Ocasio-Cortez and Ilhan Omar are the fault of Donald Trump, that they are following Donald Trump's lead, that Alexandria Ocasio-Cortez and Ilhan Omar have established this new, virulent, angry, mean-spirited, extremist mood in Congress, which is an approach to national politics that's combative, it's angry, and it's polarizing, and they learned it all from Donald Trump. So that's why I was asked if I was gonna comment on it. And I will since I've been asked to. Normally I wouldn't have mentioned it or brought it up. But Peggy, if I may use your first name, I think you're missing something very key and important here, very crucial. I don't think Donald Trump has a thing to do with Ocasio-Cortez or Ilhan Omar. They have nothing in common whatsoever. Donald Trump loves America, wants to make it great. These two babes do not. They do not love this country as founded, and they are hell-bent on remaking it. And there's no question about this. If you ask me, and this is just my humble little opinion as host, but I think Ilhan Omar and Rashida Tlaib are Barack Obama. I think Obama is who fathered them in terms of their political beliefs and their behavior mode, their confrontation, their desire to transform America. I don't think there’s any linkage between these two people, Omar and Cortez and Tlaib to Trump. It's all to Obama. And Peggy is supposedly a Republican. And this is the thing that frustrates me so much, and it's what's gonna frustrate you when you hear the Gerson piece. These people cannot work up one-third of the anger for Democrats that they have for members of their own party. I mean, it was Barack Obama who came along after Elizabeth Warren said it (imitating Obama), "You didn't build that. You think you own that business? You think you made that? You didn't build that. You couldn't done that. You couldn't done that without us and the roads and the water, you didn't build it." I'm telling you, Donald Trump doesn't subscribe to any of that at all, but Ilhan Omar and Alexandria Ocasio-Cortez, they subscribe to every bit of you didn't build that. It's so convenient to try to blame Trump for these people. But Barack Obama is responsible for so much of the partisanship. He is responsible for so much of the polemics. He is responsible for the direction the Democrat Party has taken. You think this anti-Israel position has nothing to do with Obama? It's right out of the Obama playbook. I mean, this is the guy that was paying Iran, paying them and striking a deal with them to further their development of nuclear weapons. Is Donald Trump exhibiting any such behavior with America's enemies? I could go on, but you get my drift.